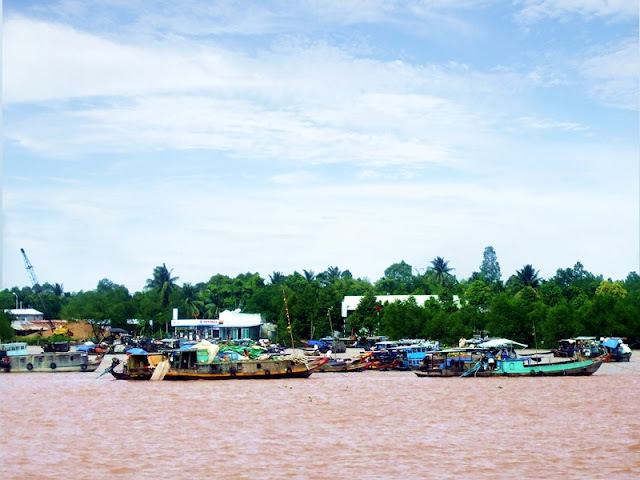 Cambodia Luxury » Travel Tips » Do you know about Mekong Delta Floating Market? Do you know about Mekong Delta Floating Market? When visiting Vietnam, among the many things you should not miss out on your trip is a visit to the many floating markets in the country. 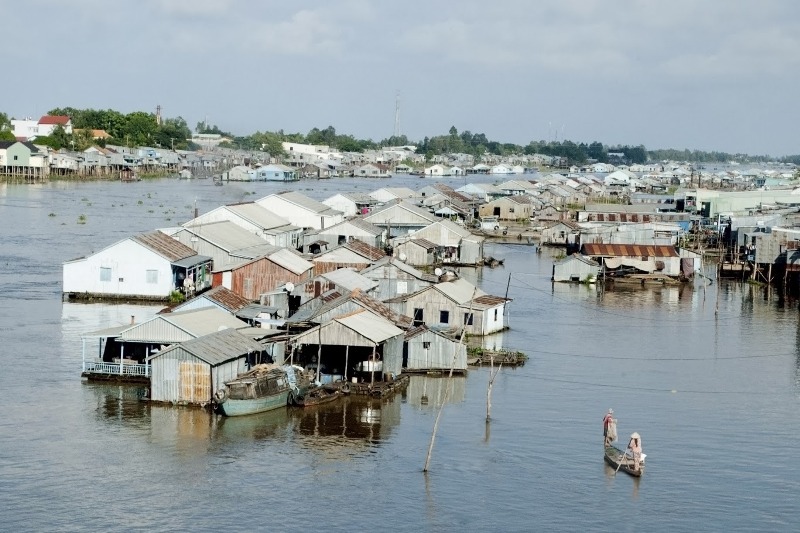 A lot of the Vietnamese people have pretty much adapted to living in the waters which you can clearly see in these markets. A lot of local products and a variety of produce, fruits, vegetables and various local handicrafts can be found in these markets, some of them you may never have seen before. If you decided to go on an early cruise along the Mekong Delta to catch and enjoy the sunrise, you can also get your breakfast through the snacks and local soups offered by small boats. Cai Rang is perhaps the most popular of all floating markets in the area due to its close proximity from the city center of Can Tho. Tourists will delight in tours here as it provides the chance to see authentic floating market action with real trading going on. Aside from the market itself, touring around these areas will also give you a glimpse of the noodle factory as well as gardens with local fruits and flowers, all of which you could choose to explore. The Phong Dien market is also located not too far from here but it is smaller and less crowded than the one you can see in Cai Rang. Cai Be is also another tourist magnet in the Mekong Delta but it has gotten smaller and smaller over the years because of the shift towards wholesale markets in the country. Long Xuyen is the second largest city in the delta and has lively markets that attract many visitors. The floating market in the city is located right in front of the huge market hall which makes quite a beautiful backdrop. The village of Tra On, meanwhile, has a small floating market with a much more relaxed pace. Although it is not as busy and crowded as the one in Cai Rang, a visit here is highly recommended. People who just want to cruise around the smaller canals in the delta wanting to enjoy the pristine greens will find this part of the trip a very enjoyable one. Chau Doc is right next to the Cambodian border and is where you can find a lot of Khmer, Cham, Chinese. This little town has quite a diverse culture and it shows in the many historical sites that you can find the cruise. Chau Doc has among the most colorful floating markets in the Mekong Delta with boats that are strung together to offer various products and goods from the region. 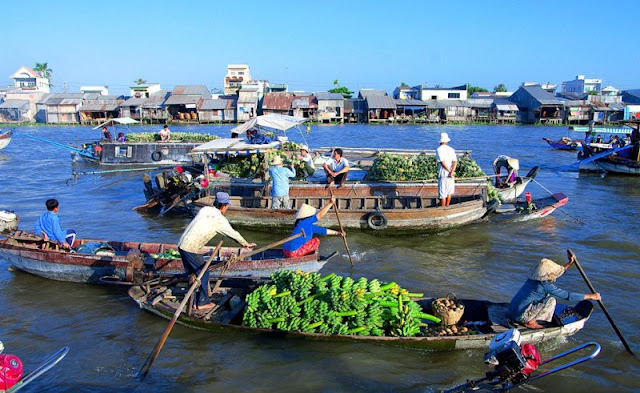 Visiting the floating markets in the Mekong Delta is best done in the early morning when it is lively and full of action. Most tourists would love to explore the area through a small sampan and accompanied with a guide. It is also possible to visit the merchant ships and have a taste of the goods and fruits that they have to offer.